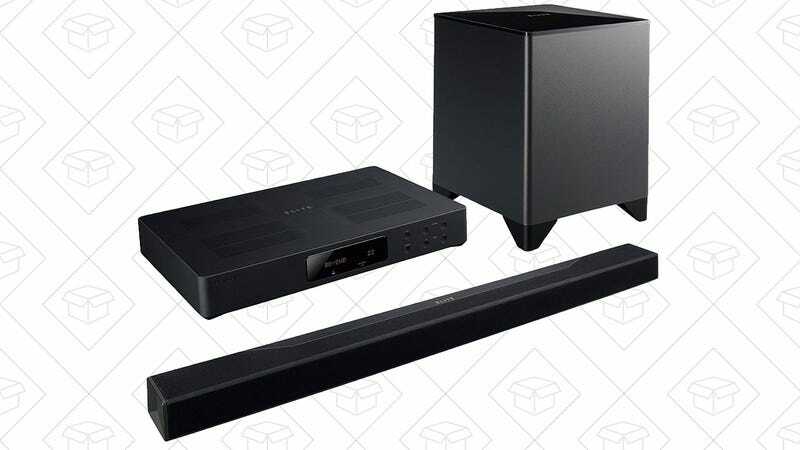 The Pioneer Surround Elite Atmos Soundbar is a 3.1.2 system, meaning you get three regular audio channels in the sound bar, a wireless subwoofer for bass, and two special “object” speakers that point upwards, and bounce sound off your ceiling, creating the effect of Atmos surround sound with minimal hardware. And for content that doesn’t support Atmos, the system is smart enough to mix it as regular 5.1. At $405 shipped, it’s not exactly an impulse purchase, but that’s still $95 less than Amazon’s current price, and easily an all-time low.